Rigging Works Sweden (RWS), one of the country’s largest independent rigging and automation specialists, has recently invested in the latest cutting-edge Kinesys Apex technology, with the purchase of eight new vari-speed Apex hoists which have been added to an already extensive Kinesys inventory. The company is run by John McDonough, universally known as JonnyMac. All eight of the new motors were supplied to the country’s high profile 2018 Melodifestivalen tour, together with four of RWS’s existing Liftket motors running with Kinesys Elevation 1+ drives, a Kinesys Mentor 4 controller – offering SIL3 safety over Ethernet – at the hub of the system and one of RWS’s flexible Kinesys Vector control platforms. This gruelling 6 week event, known for its exceptionally high production values, visited six cities to select the Swedish song and entrant for the annual Eurovision Song Contest (ESC). Sweden is one of the most successful competing Eurovision nations with a total of six victories, the most recent in 2015. Melodifestivalen 2018’s production was managed by Tobias Åberg and Cecilia Zollitsch. A stunning set based around impressive structural and LED elements was designed by Victor Bratström bringing a sculptural feel to the stage. 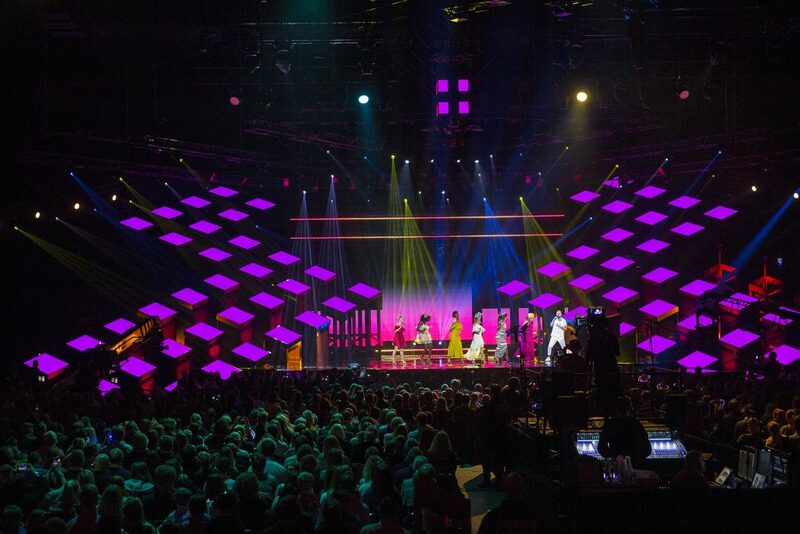 A vibrant lighting scheme was created by Fredrik Jönsson, and the event, broadcast live each week on Swedish national television, was directed by Robin Hofwander and Fredrik Bäcklund. The eight Kinesys Apex motors – operated by Petter Rimfors – were used to provide a series of flown props for different competitors – anything from a pyro truss flying in to a lighting pod positioned above the stage to change the shape of the performance area … all of which brought a different visual dynamic to that specific song. The props and flying required would change week to week, depending on which songs made it through to the next round … and which competitors were voted off. These gags would also change right up to the last minute during the rehearsal period ahead of each weekly broadcast as artists reviewed their performance footage onscreen … and Kinesys provided an ultimately flexible solution. The gags helped ensure each song looked unique both live and on camera. Details like this and a talented creative and technical team ensured that the Swedish Eurovision pick maintained its reputation for visual excellence. The three Liftkets with Elevation 1+’s were used to fly a central ‘transmitter’ prop, a section of pre-rigged trussing loaded with lights that flew in and out, and interacted with the contestants while their intro videos played. To accommodate this, Fredrik split his front lighting trusses into left and right sections. Petter is a freelance motion control specialist who works on a variety of shows and events utilising Kinesys products amongst others. He thinks that the Vector control system is “very good and perfect for an automation show like this, extremely solid and easy to use”. He has been using the popular Elevation 1+’s for some time, however Apex was new. He thinks the zero speed and highly accurate control on the Apex motors is “excellent” … as well as the silent braking … so ideal for subtle and quieter moments! JonnyMac highlights the daisy-chaining capabilities of the Apex system which is also a great advantage. 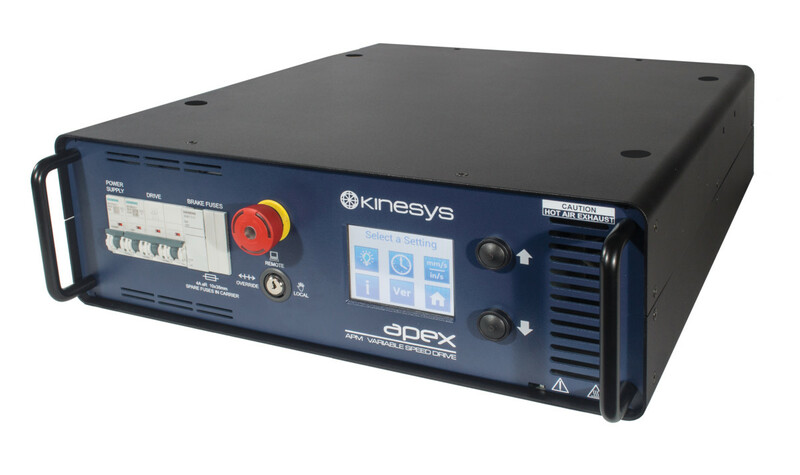 He and Petter agree that Kinesys’ support – both online and on the phone is “phenomenal” and always there when needed – essential for a show critical industry! The 2018 Melodifestivalen was won by Benjamin Ingrosso with the song ‘Dance You Off’, and he will represent Sweden at the 2018 Eurovision Song Contest in Lisbon, Portugal, in May. 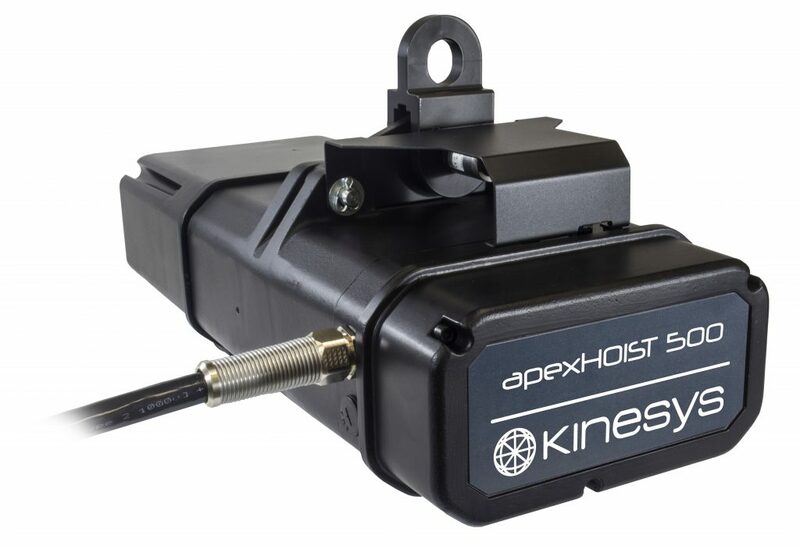 Kinesys Apex hoist range offers 500Kg and 1250Kg options with maximum speeds of 500 mm and 200 mm a second (100ft and 40ft a minute respectively). The compact housing is built to meet the highest safety standards and is also suitable for moving objects over people. Properly silent braking and the ability to ‘hover’ – due to the zero speed – means Apex can potentially be used in environments where hoists were previously not an option – conferences, drama shows, etc. Apex is also known for ultra-smooth ‘organic’ movement and the precision speed and positional control which can facilitate complex and graceful geometric movements. RWS was started by JonnyMac in 2007. It is both a rental and a production company, so this includes dry hire of equipment to experienced technicians and crews as was the case with Melodifestivalen as well as providing crew and operators – anything from two hoists and a stick of truss to a full production automation system, including all the calculations, logistics, labour and equipment. 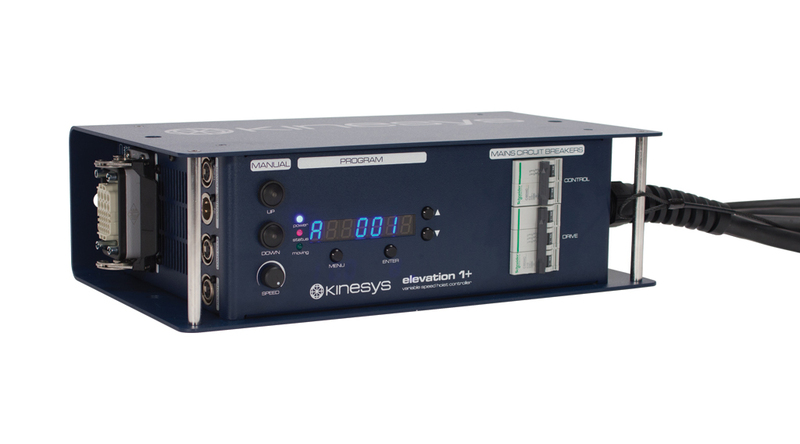 JonnyMac has always had a keen eye for future trends and is a consistent early adopter of Kinesys technology. He feels the brand is a market leader with a great reputation for “solid, stable and extremely safe cutting-edge technology” which enables a whole range of creative show solutions.